This is one of our favourite events and one that we hold very dear. 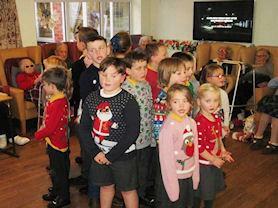 We sang a selection of carols to the residents of Scalford Court and the children were then treated to a drink and a cake. Well done and thank you to all the children and parents who came along.